Confession: I don’t much care for cheerleaders. I mean, nothing against any particular cheerleaders personally, but the whole idea of some formulaic whipping up of crowd enthusiasm really leaves me cold. As does anything that smacks of manipulation and insincerity. Faux enthusiasm is not genuine passion. So if passion isn’t some fly-by-night outward expression of manufactured emotion, what is it? It’s the coach who so deeply believes in the abilities of his team, and in the value of working together to win, that his eyes and voice inspire his players to do better than they think they can. It’s the Army captain who believes so much that the cause of his nation is right, and that evil people must be stopped, that he inspires his troops to sacrificially charge ahead with him through danger and hardship. It’s the lonely pastor of an obscure little flock in middle America, who believes that God and eternity and sin and redemption are absolutely real, and who inspires his handful of fellow travelers to press on through each day’s trials. It’s the business leader who believes that there’s a better way, who seeks to create that better way, and who inspires investors and employees and customers to buy in to that vision and make it come to life. Passion grows out of believing. It grows into inspiration. It has the distinct feeling of compulsion about it – it doesn’t bother with could be, but proceeds directly to must be without passing GO and collecting $200. Many can be paid to pick up the pom-poms and give a few cheers for the team. A truly passionate leader is not a hireling, however, auctioning off abilities and some manufactured enthusiasm to the highest bidder. He or she is a believer. Who inspires, not employees, but followers. Passion is fueled by vision, by a sense of right-ness, by a restless dissatisfaction with the status quo. Passion can be as loud as an opinionated talk show host, or as quiet as an unknown researcher laboring for years at her bench to find new ways to treat diabetes. Passion can be found at at a Silicon Valley startup or in a Virginia Beach nursery, each patiently building and shaping and investing in the future. Passionate leaders aren’t leading cheers. They’re leading disciples. Agree? Disagree? 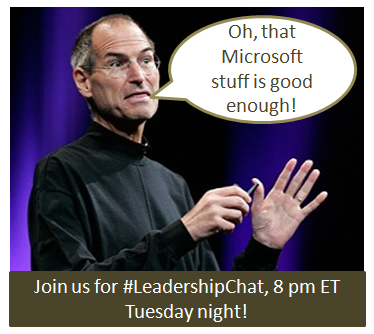 This Tuesday night (8 pm ET), we’ll be discussing passion and leadership for our weekly #LeadershipChat on Twitter. Before the magic hour, be sure you also read Lisa Petrilli’s post on passionate leadership. When we talk about leadership, we generally focus on various traits and character qualities that make a good leader – and rightly so. No sane person can argue with the need for courage, honesty, integrity, decisiveness, humility, and other desirable qualities. But today, I want to underscore something we don’t often address – expendability. From the highest-level perspective, every leader is ultimately expendable, because to be quite blunt about it, every person (and leader) will eventually die. That’s expendability joined to inevitability! So you can’t win that argument. 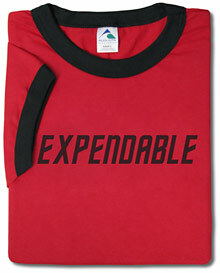 But I think every leader should strive to become expendable, well before the last heartbeat. Why? Because (IMO) a leader is there to create something greater than him/herself, something that should be self-sustaining and able to flourish. And that involves cultivating the gifts, skills, and leadership capacities of others in the organization. To the point where other leaders are leading. From the first step in the door, any leader should be thinking about the last step out the door. We call it succession planning. Granted, great leadership is not optional, and for a season, a particular leader will either seem or be indispensable. But that should not be the long-term status quo. The noblest leader sets it all up so that he or she can bow out and leave the organization – and its developing leaders – in a flourishing state. What better legacy can one leave than that? The expendable leader may well stick around and provide value for a long time after it’s absolutely necessary, but they should one day step outside the door, realize that they could indeed be hit by a bus right now – and that all would be running smoothly when the door opens the next day. We don’t want to leave behind perpetual dependents. The best leaders grow healthy independence in those they lead. What do you think? 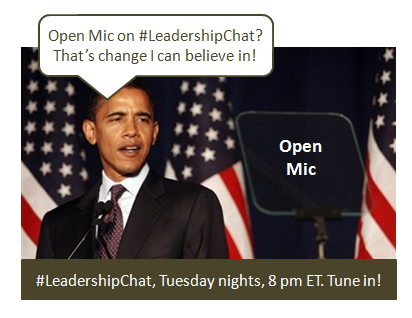 This Tuesday night (8 pm ET), we’ll be discussing leadership (Open Mic night – any topic you wish to discuss!) for our weekly #LeadershipChat on Twitter. Before the magic hour, be sure you also read the perspectives of my partner in chat crime and co-moderator, Lisa Petrilli, on her blog. Social media is not a strategy. Though I am heavily involved in social networking, I couldn’t bring business value in this sector. The point is: you’re looking for business strategy, and business value. Not some stand-alone approach to the latest fad called social media. 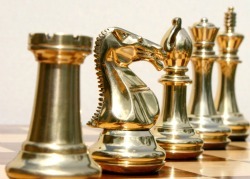 If you want to win, you don’t just employ a “knight strategy” in chess, do you? – We need to launch a Facebook page for our customers! We need a strategy for real-time communications and better engagement with (this and/or that) set of stakeholders. Let’s assume that there is a concrete business answer to the question “Why?” (is there?). Now we can begin to talk about various media and approaches that may be appropriate. “We need a Facebook page!” is not a strategy. – We should launch a YouTube channel! We need to provide new avenues of value to our customers in order to make them advocates and evangelists. Excellent starting place. Now, what role will communications and person-to-person engagement play in this? 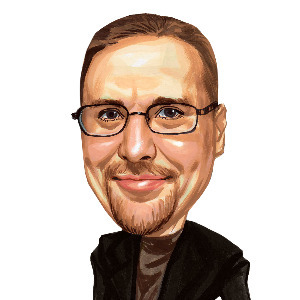 Is information curation and dissemination a major value-add? Making videos on YouTube might get page views, but will it provide value? Ask: what is my audience looking for? – not just what are they looking at. – We need to show up on Twitter searches! We need to be more “find-able” on-line. This is a no-brainer, but the question is; How? Will social media provide that exposure, and do you have the personnel resources to feed the beast over the long-haul? Is it a simpler SEO issue? 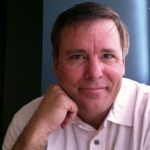 Would a beefed-up LinkedIn presence be more effective than a blog? Best methods for raising an on-line profile will vary from industry to industry, and from need to need. Copying someone else’s social media approach isn’t a strategy. – We need to be out there on all the social networks! We need to build a broad opportunity network. Social networking technologies are great for this. But they are not the strategy, they are a component of a business approach to networking. Just putting a profile on every social site known to man or beast is not the same as creating and cultivating a business network. 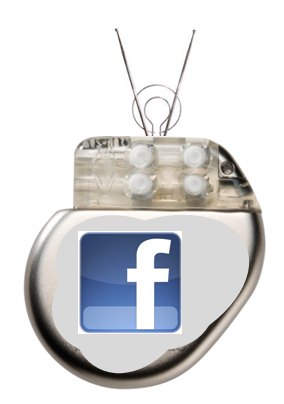 Here in pharma world, where I do a good bit of my business, we finally crossed the Rubicon this year – companies have by and large moved out of the “what is social media and should we even touch it? ?” phase, into the “how do we do this?” phase. And for those of us involved in the industry evangelistic work over the past years, that’s rewarding – but also dangerous. Because now, social media is often treated as a bolt-on, a check-the-box component of the marketing mix. The awareness level has grown – three cheers! – but the strategic understanding aspect is still immature in most cases. Yes, people and companies have to start somewhere, and specific tactics using social platforms are often the first toes in the water. An iPhone app can (and should) be part of a big-picture, longer-term strategy with business goals beyond just checking off the “my brand did social in 2010” box. Because in the long run, you don’t need a social media strategy, or a stand-alone social media expert. You need a holistic business strategy. Which should incorporate an intelligent approach to the opportunities, challenges, and trench work of digital networked communications. People who know social media can help you learn the landscape, but don’t carve something off into a “social media strategy.” Increasingly, that notion will seem as odd as proposing an e-mail strategy, or an operating system strategy. Great people and strong companies will flourish under the spotlight; mediocre companies and poseurs will simply be exposed for what they are. If you’re in the latter category, as Jay Baer recently put it, maybe you’re just not ready for social media. You may have some cultural infrastructure to build, and some broader strategies to put in place first. If you don’t understand the forces at work, then social media may not be a shovel-ready project – yet. If you can articulate a sound business strategy that involves tactical usage of digital networked communications, go for it. Otherwise, you’re grabbing onto a solution without defining the problem. 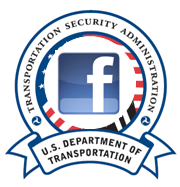 In what has been described as a “friendly, sort of” takeover, the social networking site Facebook has been merged into the Transportation Security Administration (TSA). The announcement was made in Terminal C of Newark Airport. After reporters and their personal items were screened, they were allowed to line up 12-deep to hear the head of the TSA, John T. Pistol, announce that Mark Zuckerberg had arrived at an “understanding” after several hours of enhanced frisking and being run repeatedly through a high-intensity X-ray machine. “It was obvious that our attempts to protect the American people were simply not enough. Senior citizens were sometimes boarding planes without being subject to public humiliation, and once a right-wing blogger named Benjamin Jefferson Washington actually boarded a flight in Milwaukee before he showed up on our ‘No Fly’ list. Changes to the Facebook interfaced were already evident this week, with subtle wording changes (Edit my Profile is now Profile Me) and random pop-up interrogation boxes for those who upload any photos. Also, each Facebook user is required to undergo a hands-on patdown by a TSA employee before changing any user information on their profile. “Instead of a captcha, we’re going to use a gotcha. Way better!” said Pistol. Like most of us, I’ve come to many crossroads in my life involving profound uncertainty. 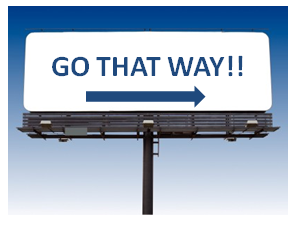 Having a billboard outside my window giving clear direction would have been really convenient; however, leadership often involves navigating through a sea of questions, without a clear map or working compass. Despite the surrounding fog, it is the responsibility of the leader to have a compelling vision and be prepared to move forward. How to do that when there are more questions than answers? I realize that it may not have the panache of an MBA-fueled analysis, but the longer I live, the more I trust my gut instincts. A leader should have a moral and common-sense internal compass that is honed over time, whereby opportunities, threats, and general direction are seen at least in outline form, if not with perfect up-front clarity. If your modus operandi is to cut corners, lie, cheat, and hurt others in order to get short-term gain, however, I don’t recommend you rely on your gut instincts. That’s a compass that doesn’t recognize true north. Getting wise counsel from others is a sign of a real leader, who is humble enough to understand his/her limitations, and who recognizes the value of multiple perspectives. I have no idea how many mistakes I’ve been spared through the wisdom of others. It is not weakness, in uncertainty, to try to gain light from as many luminaries as you can. It’s just smart. One reason that it is important for leaders to read and think widely is because it brings awareness of long-term trends. Leaders understand what is fueling large-scale cultural movements, and are better able than others to discern what is an enduring trend, versus a short-term fad. When the particulars of today are uncertain, an effective leader is still navigating by those things that have the aura of inevitability and growth. It’s highly unlikely that the best opportunity for me or any company I’d work with is to be found in the jungles of Papua New Guinea. Why? Because I am here, with a particular set of skills, tied in with a certain network, located in a sphere of labor and opportunity by providential circumstance. When in doubt about where to lead, be certain that it probably involves leveraging your present circumstances to create the future. What do you think? 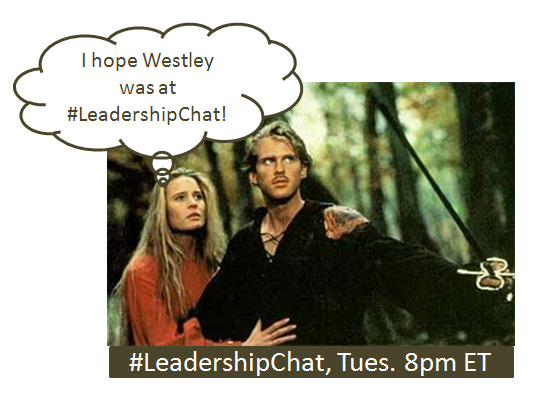 This Tuesday night (8 pm ET), we’ll be discussing Leadership in the midst of Uncertainty for our weekly #LeadershipChat on Twitter. Before the magic hour, be sure you also read the perspectives of my wise co-moderator, Lisa Petrilli, on her blog. While all the tech press was drooling over the idea of Facebook email, founder Mark Zuckerberg pulled a fast one with his announcement today of Facebook Implants. “Email is so last century,” declared Zuckerberg at the standing-room-only press conference. “It requires thought, typing, even hitting a send button. We’re all about going forward, not backward. The Implant device, which looks like a pacemaker sporting rabbit ears, is placed subcutaneously in the body and constantly records blood pressure, anger levels, senior moments, caffeine highs, speeding in school zones, jealous thoughts, and gall bladder performance. These are tied to GPS coordinates and an atomic clock buried in a secret location in Colorado, and every bit of information is continuously uploaded as a Facebook status. I’m writing up a brief series of posts to explain the various identities I maintain on-line, via blogs and here on Twitter. Why do I have these identities? Well, I have several quite different networks (with some overlap), and I fear overwhelming people who are interested in one aspect of my thinking and sharing (say, business networks) with a flood of information about another (say, pharma). So, I maintain one ID that is Steve 3-D, where I interact with pretty much everyone, while also feeding three other streams that are more topical. One of those identities is Connection Agent, which is my account focused on the business (and people) of social networking. The term “Connection Agent” is also my comprehensive brand – it’s who I am and what I do across all networks. Connection Agent is a blog (which you’re on right now), and a Twitter account. I use the Twitter account to share great resources that I find on networked communications, and also to re-tweet thought leaders in the space. If you want to know my top thought leaders and influencers, just look at who I follow at @ConnectionAgent. I have downstream plans to create new business approaches via Connection Agent, but right now, I’ve still got my hands plenty full with Impactiviti. 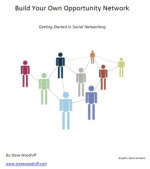 I believe that whole new ways of doing business via networks of quality people (Opportunity Networks) are possible. For now, a lot of the posts I write here on Connection Agent focus on social networks, marketing, and leadership. So if you want to learn more and connect more with the social networking for business crowd, I’ll try to be your Connection Agent. If you want to interact with me on Twitter, we’ll still do that at @swoodruff. Make sense? Next: What is Steve’s Free?